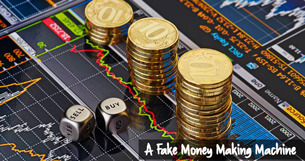 There are lots of binary trading option platforms jumping out all the time on the internet. When it comes to reliability its a much shorter list. One of the methods that come on that list is The Brit Method. Reviewing the product for some time has given us the insight into the program and we only have positive words for the experience it provided. Longtime cop and FDLE Commissioner Gerald Bailey was fired by Gov. Rick Scott staffers last month. Initially it was reported that during his reelection campaign, Scott political campaign staffers had run-ins with Bailey who rebuffed their efforts to politicize his agency during Scotts campaign. Bailey refused to participate in campaign activities and complained about being improperly hit up for campaign contributions. So, literally days after his reelection, Scotts minions forced Bailey out. Initially Scott claimed Bailey resigned, but after Bailey clarified he was fired, Scotts spokesperson corrected the governor. Sunday, the Tampa Bay Times and Miami Herald reported that much more was going on. According to their report, Scott?? ?s office also tried to get Bailey to ?? ?falsely name someone a ???target??? in a criminal case, hire political allies for state jobs and intercede in an outside investigation of a prospective Scott appointee.??? That?? ?s not just bad optics. It?? ?s a federal crime to conspire to falsely deprive someone of their liberty under color of law (Title 18 USC 241). It?? ?s also a state crime to make false statements in criminal investigations, misuse an official position and act falsely under color of authority (F.S. Chapters 837, 838, 843). If the allegations are true, state and federal law enforcement will be reviewing the sorry affair. The Florida Cabinet and legislature are obliged to conduct their own reviews as well. The Florida Cabinet, who by law must take part in the firing and hiring of the FDLE commissioner, all say they were duped and had utterly no idea Bailey had been unilaterally fired. That?? ?s not enough. They all voted to accept Bailey?? ?s resignation. If they were truly misled, they need to demand an opportunity to ask tough questions of the governor and his staff at the next Cabinet meeting. And the Legislature needs to be acting like it?? ?s concerned. Both the House and Senate have criminal justice and judiciary committees with oversight of FDLE. The failure of legislative leadership to vigorously address these allegations will reek of political favoritism. If the governor were a Democrat, he and his staff would have been dragged in to answer questions within hours of the report. The firing of a police commissioner because he would not allow his agency to be politicized sends the worst possible message to FDLE and the entire law enforcement community. By all accounts, including Scotts, Bailey was a great commissioner. In this instance he did precisely what he was supposed to do and the law demands. Think about what will happen when one of Scotts staffers asks the next FDLE commissioner or agent to do something inappropriate or illegal? Will they follow the law or will they not have enough guts to do the right thing at the expense of their job? For Baileys replacement, the taint is too much as the public will understandably believe he got the job because he was loyal to the governor and his staff ??? rather than for his independence and fidelity to the law. Most troubling is that FDLE has a critical watchdog jurisdiction over government and investigates misconduct by state officials. It will be hard for the public not to believe that FDLEs decision-making is influenced by the political interests of the governors office. It?? ?s not fair to prejudge the conduct of Scott and his staff before proper investigations. That?? ?s the jobs of law enforcement, the Cabinet and the Legislature. And they owe it to Floridians to do their jobs! Dan Gelber is a former Democratic state senator. Column courtesy of Context Florida.